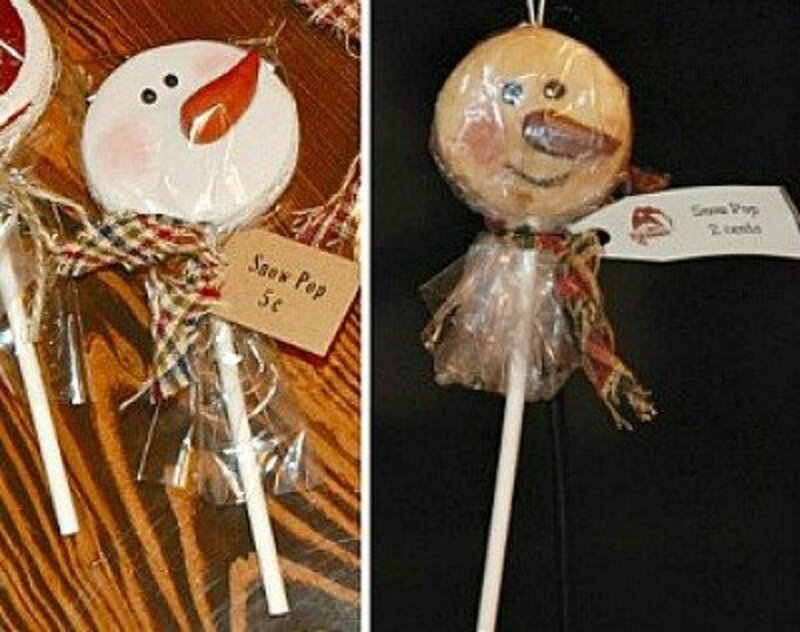 Making snowman crafts is one of the best ways to prepare for winter decorating and gift giving. 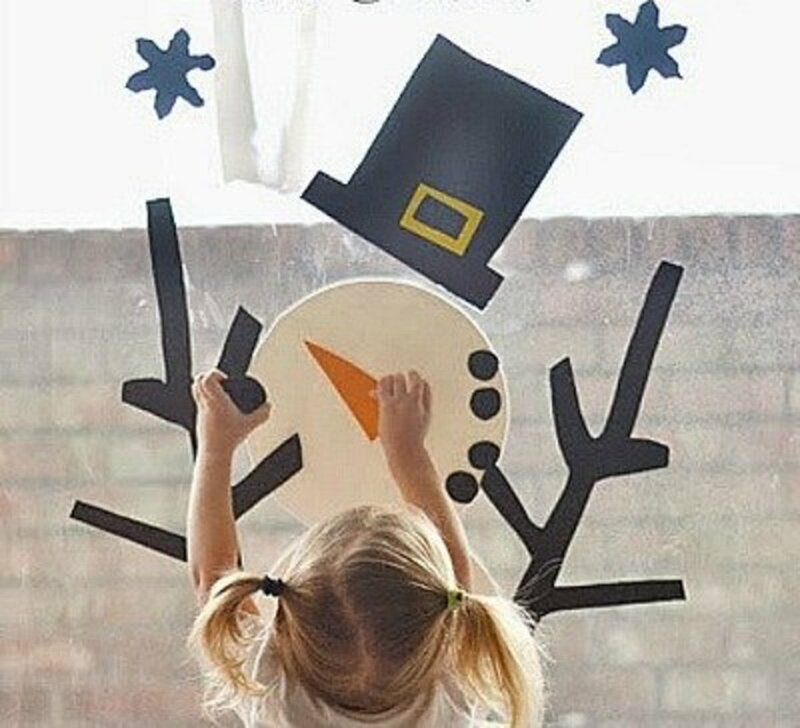 I believe these snowmen crafts are so popular because they have such a long display period: Start displaying your snowmen right after Halloween and leave them up until the end of January! 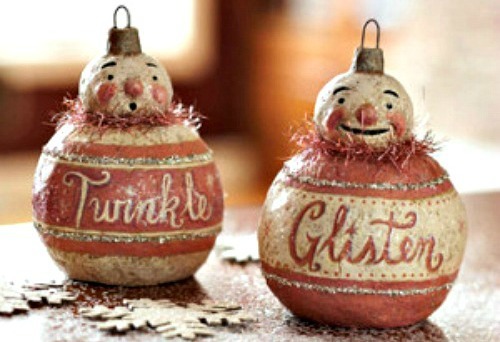 Better Homes and Gardens shares how to make the beautiful vintage ornaments above. 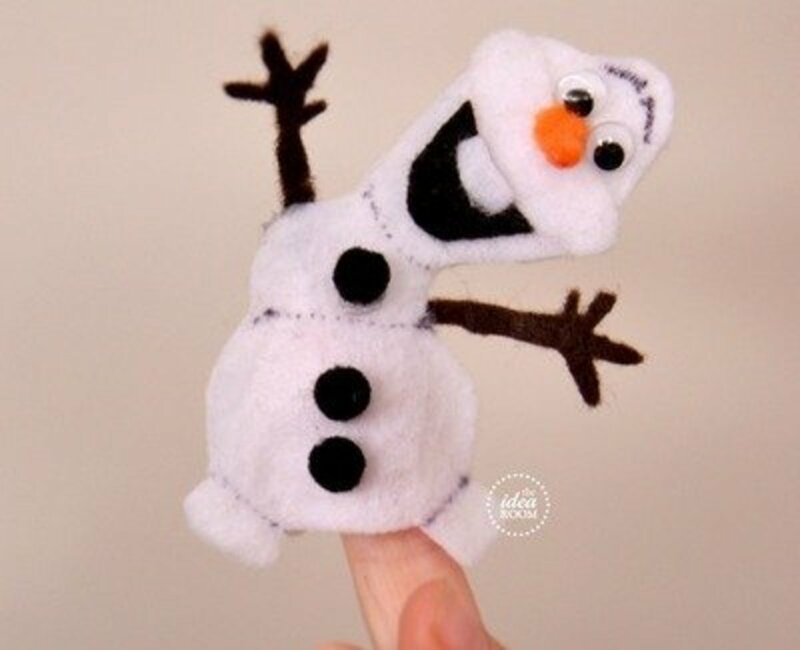 Imagine how the kids will love reading an Olaf story or watching the Disney movie, Frozen, with their own little Olaf finger puppet! 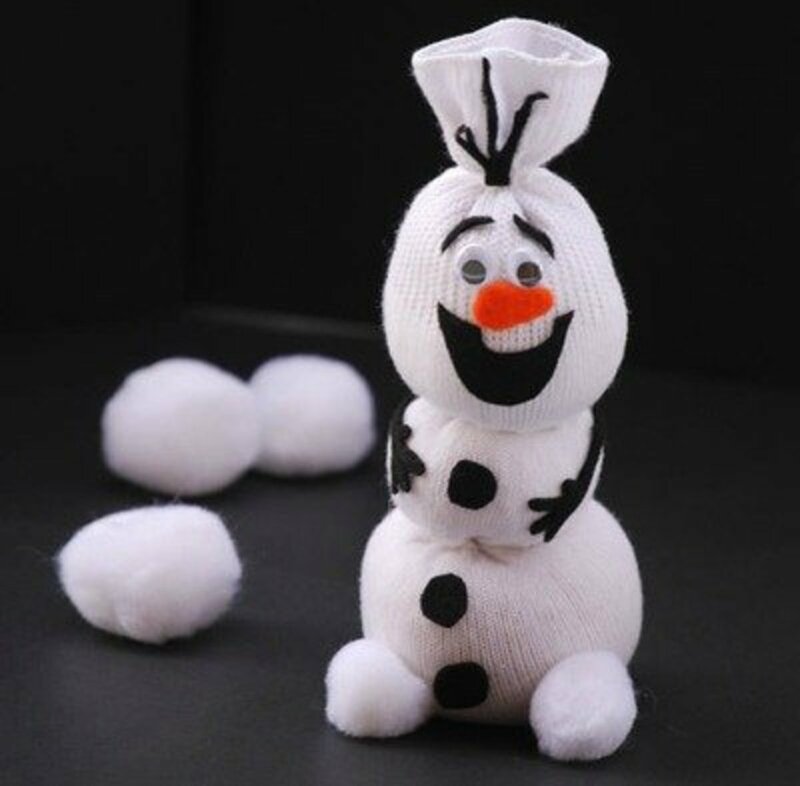 Isn't this sock version of Olaf cute? I imagine you could make a whole family of snowmen by using different-sized socks. Infant socks for tiny ones and larger sizes for bigger snowmen. You know how we have these electric (or battery operated) candles at Christmas time? Usually, we'd set them in a window or on the mantel, but they aren't as unique as they could be. 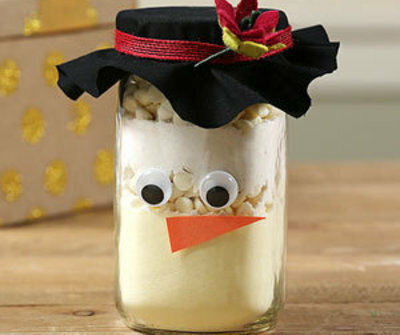 Little Miss Celebration comes to the rescue with an attractive snowman cover you can create for the candles! This is a great Christmas preparation activity to do with the kids. 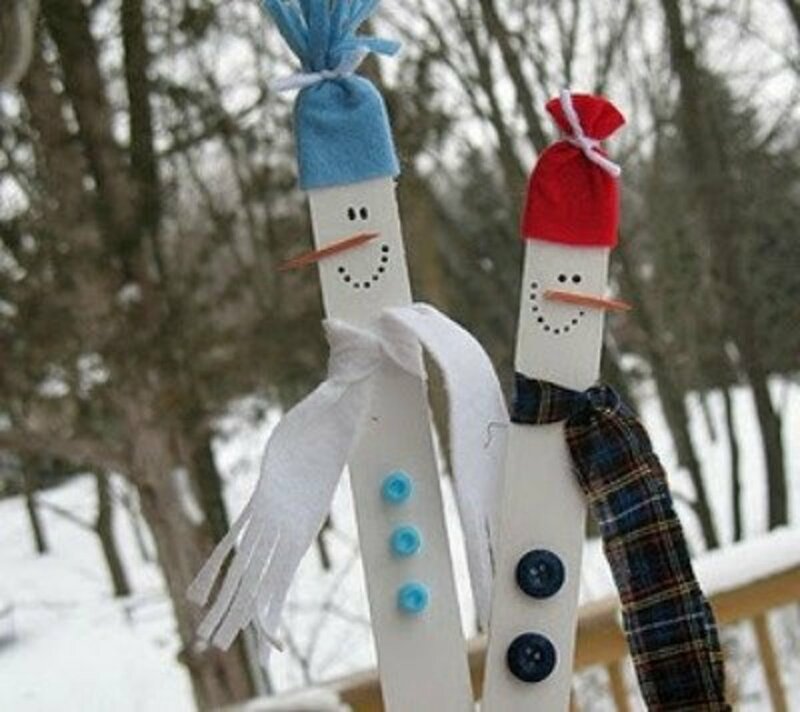 The clothespin snowmen are simple to make, and a bonus is that the supplies are inexpensive. 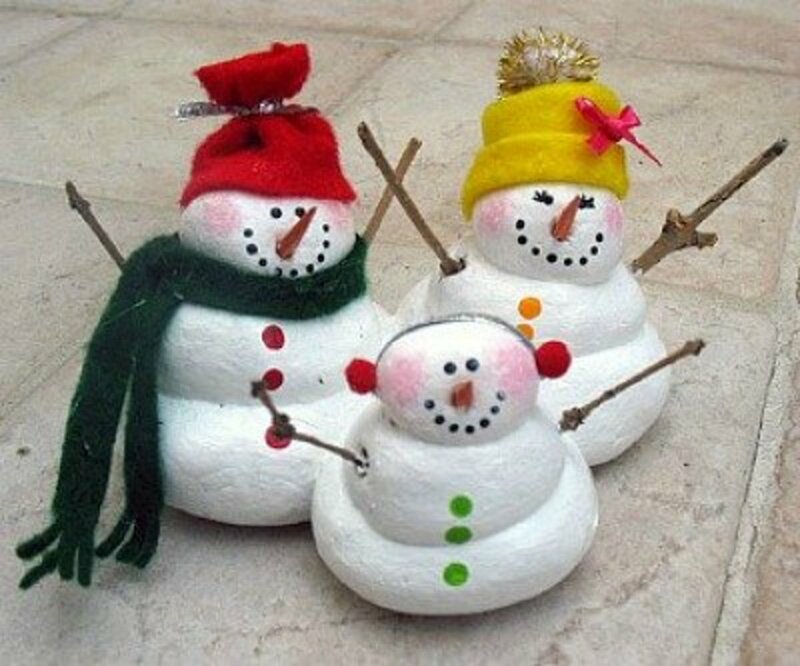 Salt dough is a great inexpensive clay to use for making snowmen, especially if the kids are the ones putting them together. 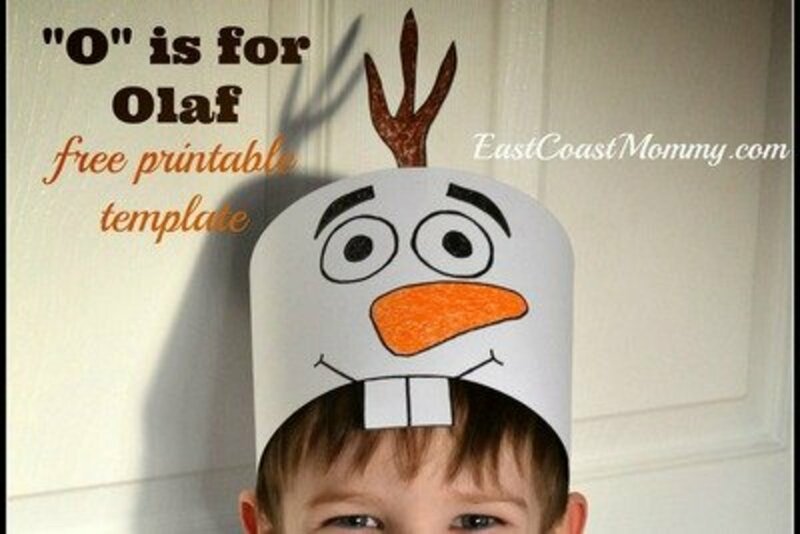 You get two great Olaf projects when you go to EAST COAST MOMMY for this headband project. Find the button for a template download at the end of the article. They also share an Olaf costume project! 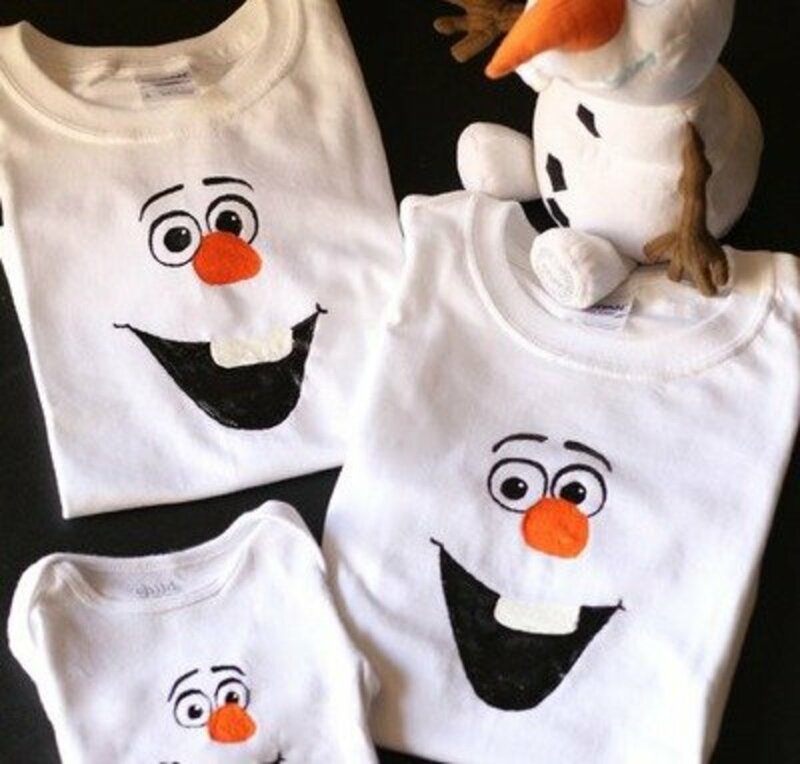 Imagine all the fun that you and the kids will have making different Olaf snowmen. 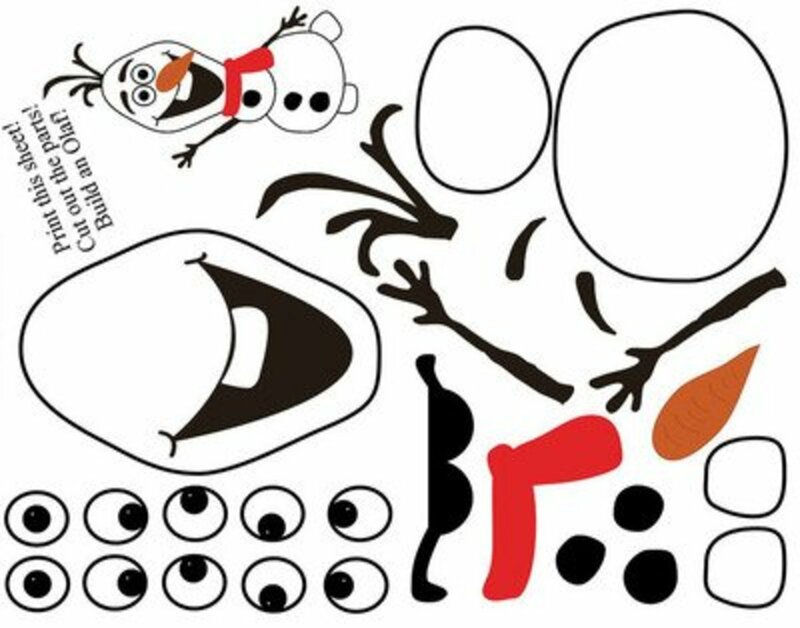 Find the printable Olaf snowman sheet at The PURPLE PUMPKIN. I think it would be even more fun to print it onto clear cling film and then create fun winter scenes with Olaf featured on your window or glass door. Who better to watch over you while you prepare for Christmas than a group of watchful snowmen? 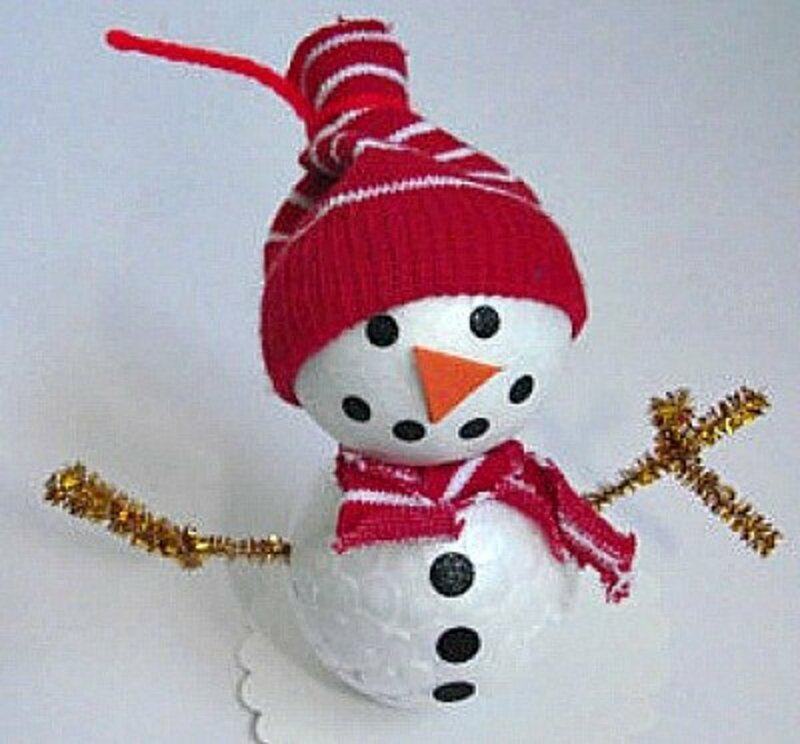 You'll use three sizes of Styrofoam circles for this yarn snowman. Alternatively, you can cut three circles from a sheet of Styrofoam instead of buying the pre-cut circles to create a custom snowman. The larger the circles, the larger your snowman. 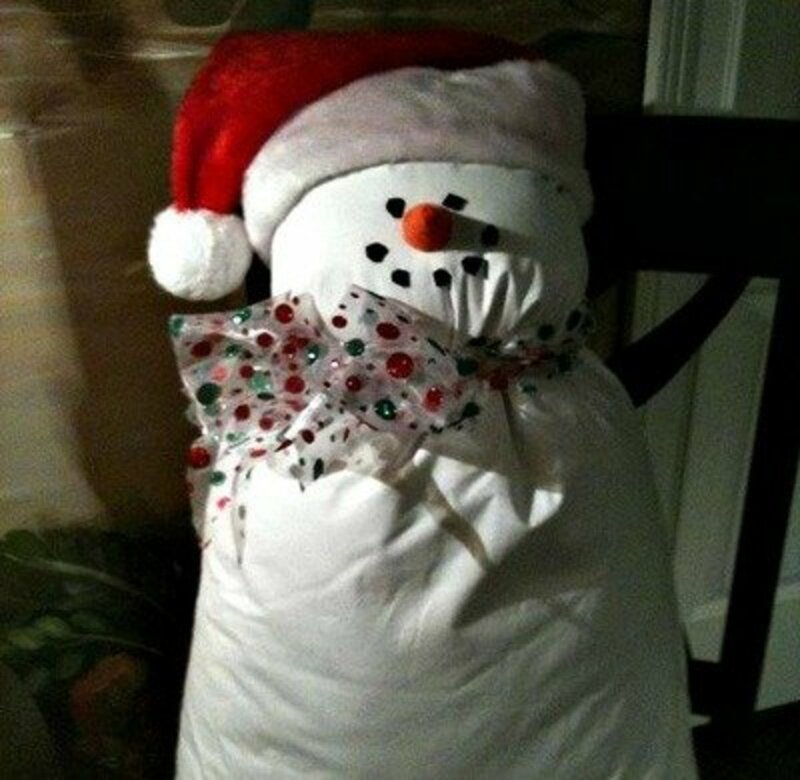 Make a quick and easy snowman pillow to set on the floor near the Christmas tree. You could also place it on a corner of the sofa or use it as a Christmas decoration on your bed. It'll be sure to make you smile whenever you see it! 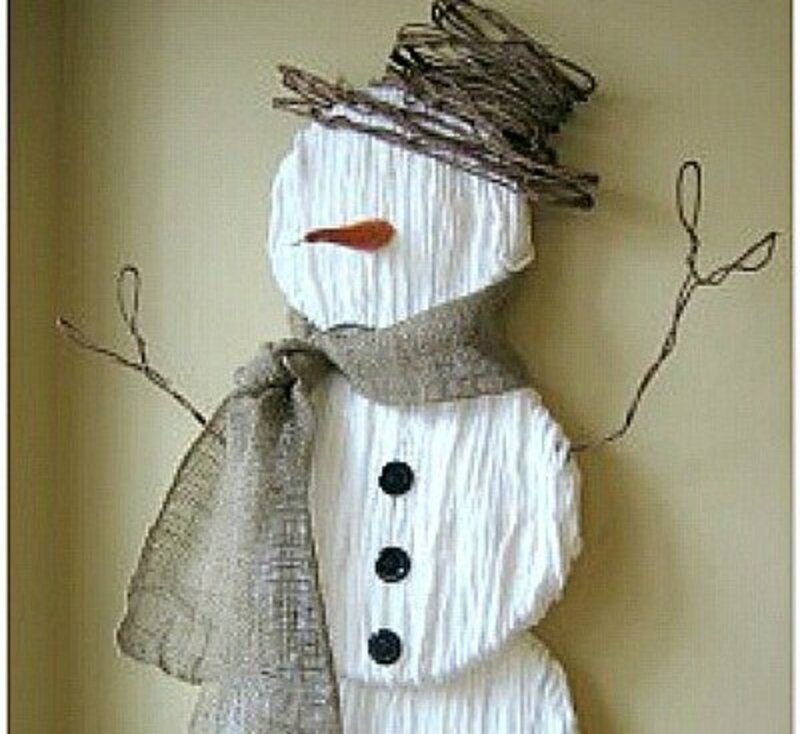 Make and Takes shares this attractive snowman project you can do to upcycle items you have around the house. I love all of the glitter, as it makes it look more festive. 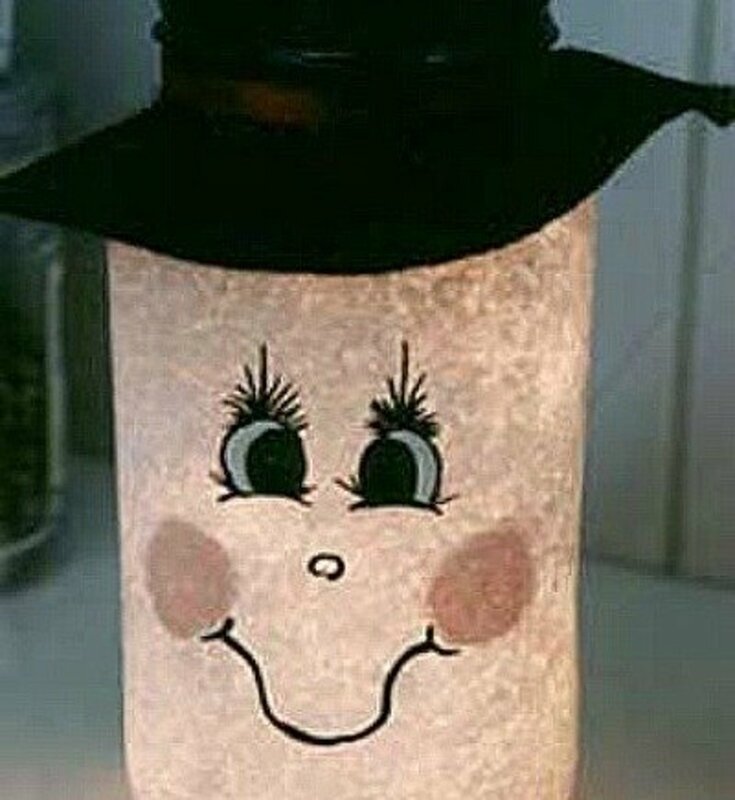 If you want to make quick luminaries or need a paper project for kids to make, this snowman is the answer. 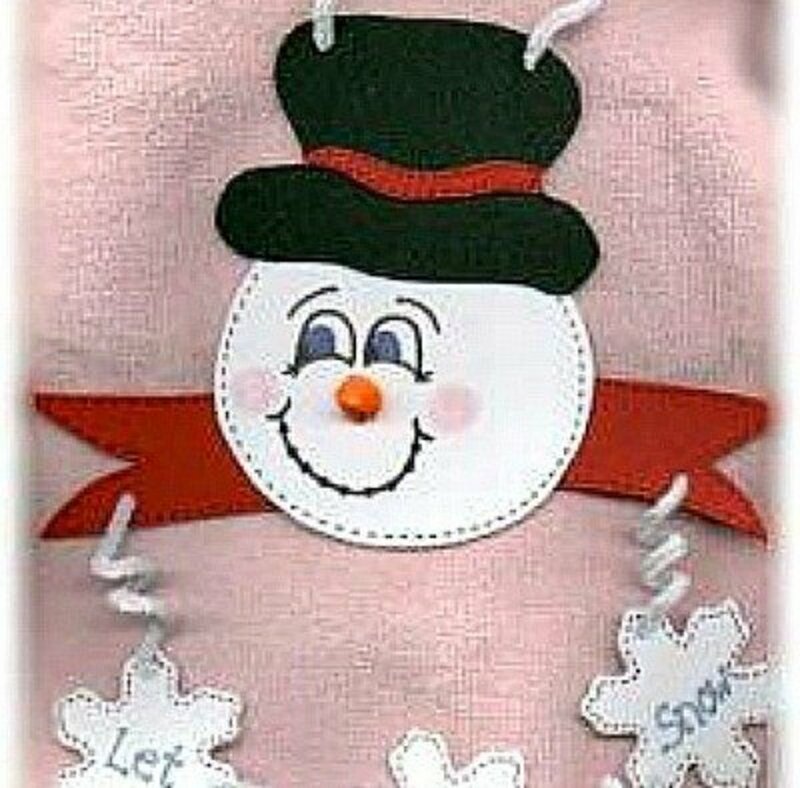 I love the mittens and boots on this paper snowman. Let the kids decorate the mittens to make their version of the snowman. This is just the cutest idea ever. Now, the little kids can build (and take apart) a snowman many times a day. The pieces are made using large craft foam sheets, and the kids simply need to brush water on the pieces to make them stick to the window or bathroom walls. 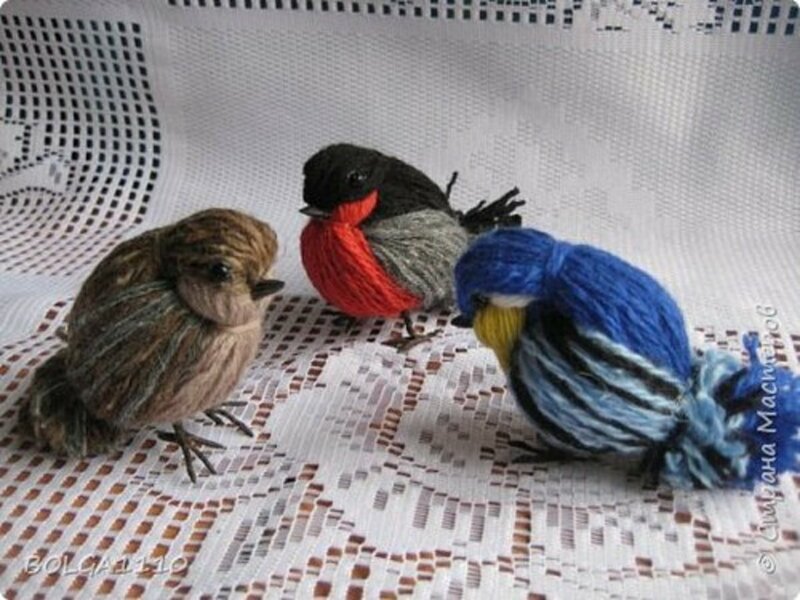 Make the yarn balls as shown at CRAFT goodies. 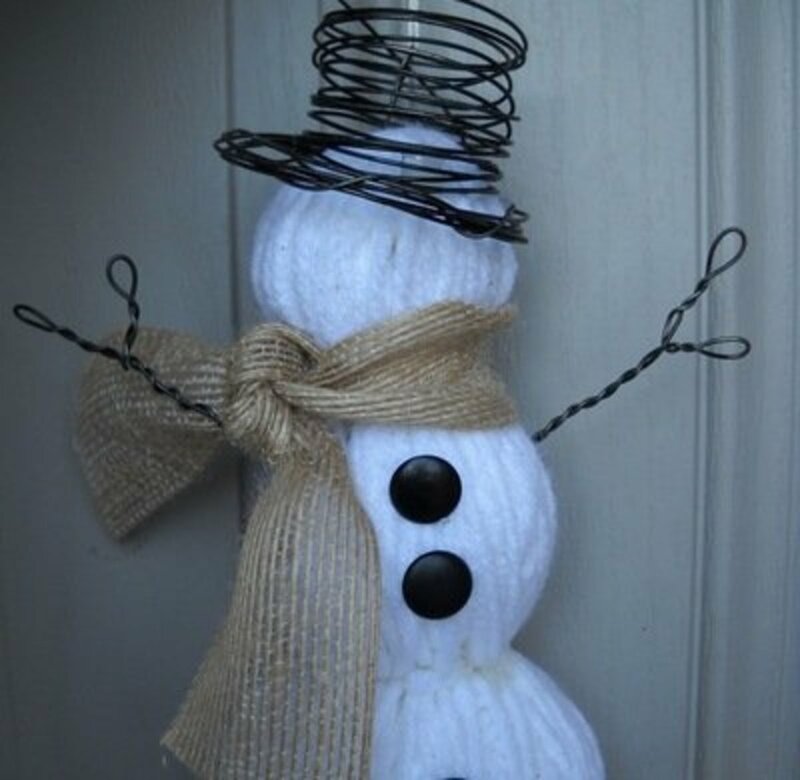 Then, make the wire arms and hat to complete the snowman. The guide will tell you how to make everything. 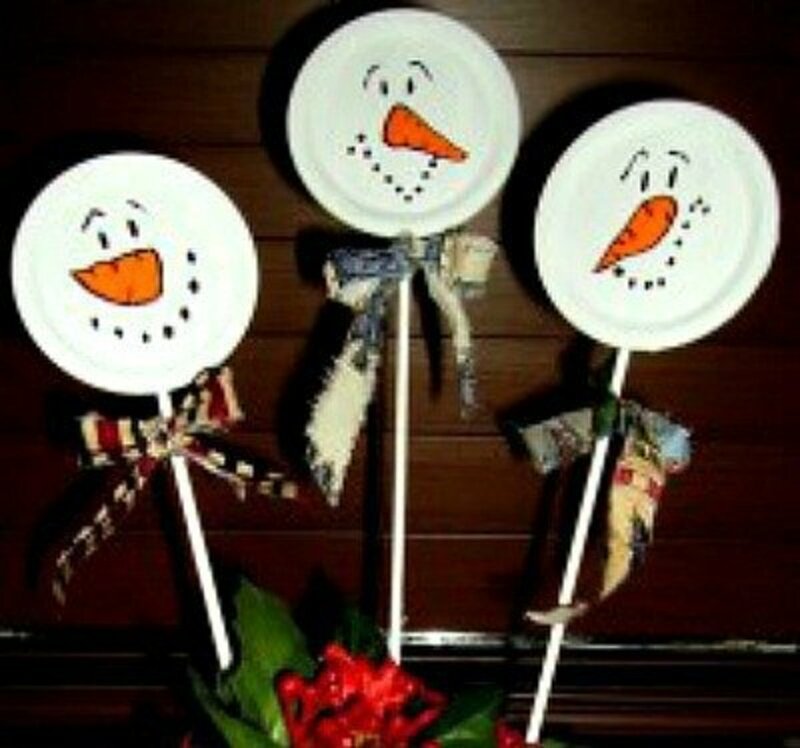 These snow pops look good enough to eat, but don't do it! They are made out of salt dough, so they will keep for years to come but taste terrible in your mouth. 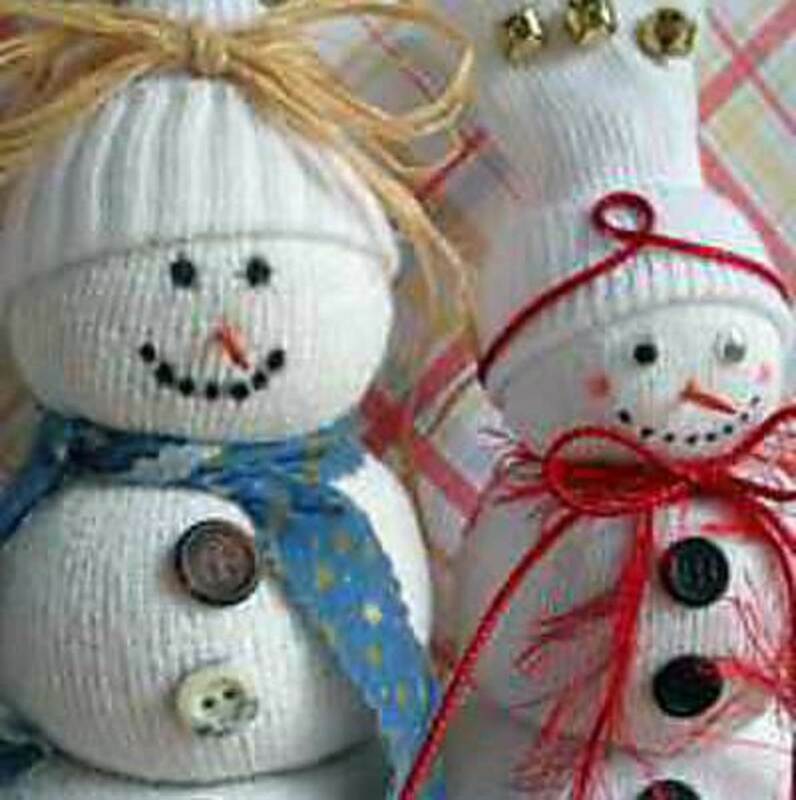 Take a long athletic tube sock with a few craft supplies, and you'll get a really cute snowman swag! 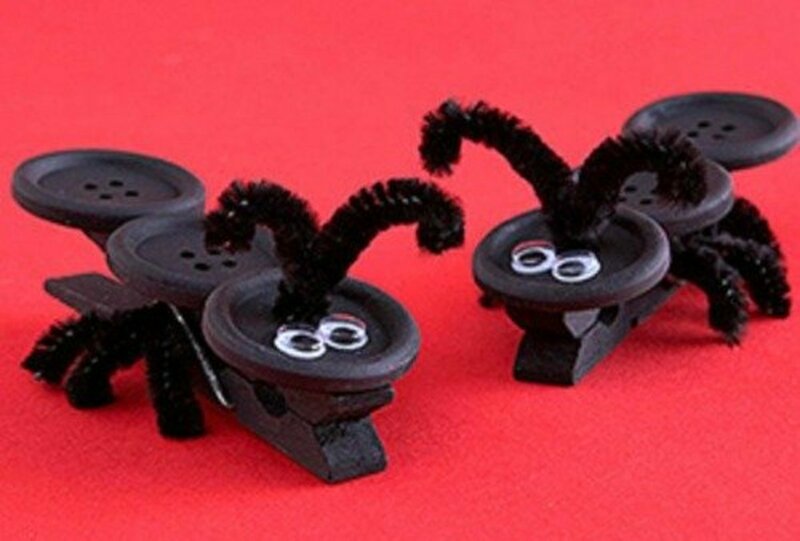 These look adorable and would be great in the home. I love these little twig-armed snowmen. The twig arms give them a rustic folk art look that I'm drawn to. I hope you try them out! 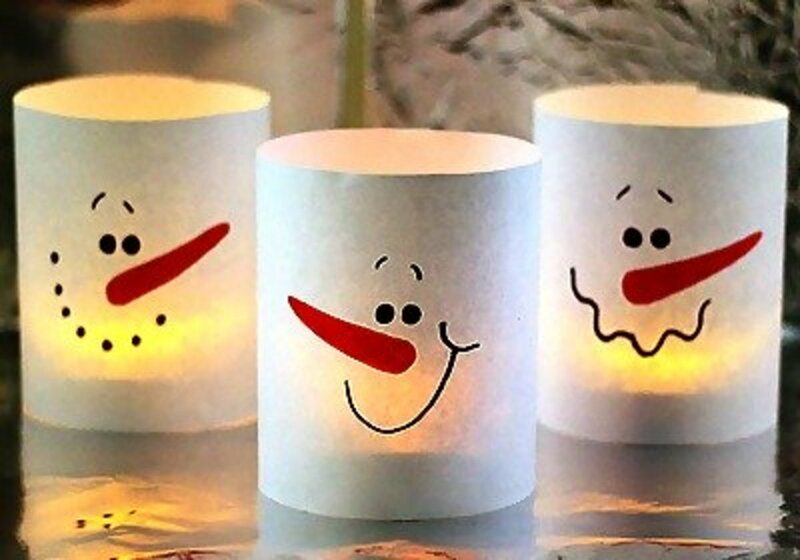 A cheerful glow will be added to any room with this glowing snowman candle. It's perfect for the winter season. 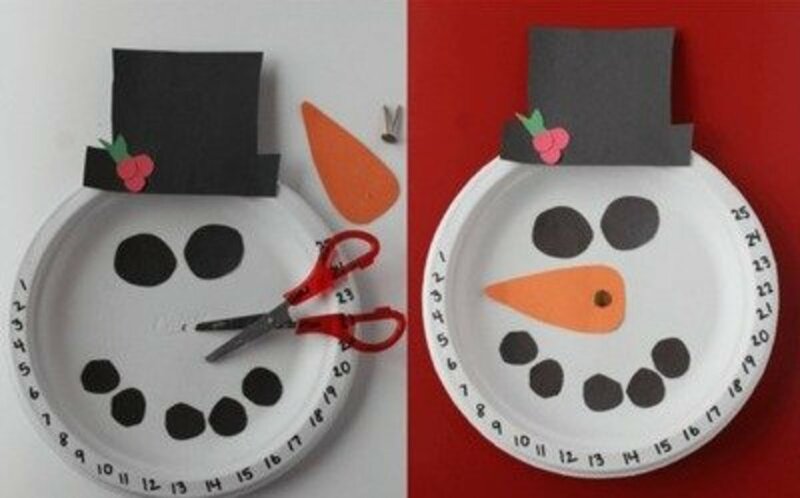 This is such a cute snowman project. 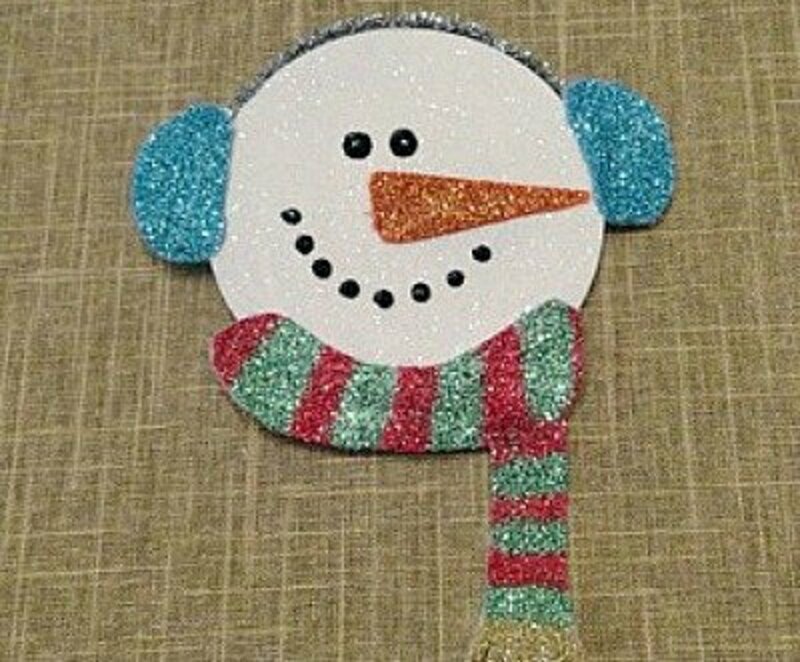 Help decorate the classroom with this cute snowflake garland that's strung under a cheerful snowman. With a little imagination, a crafter can think up a use for just about anything. I'm impressed by the author's unique use of paint sticks to make this snowman. 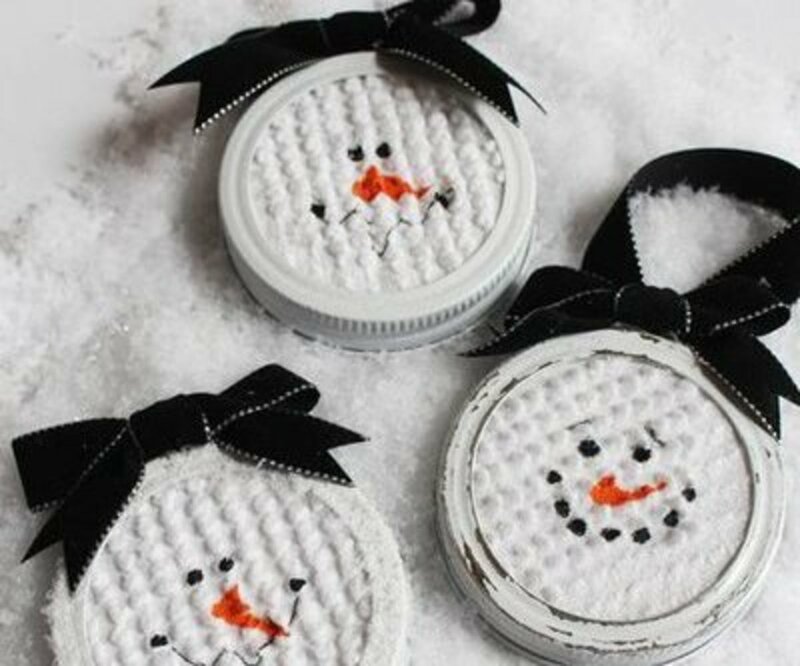 Make these ornaments from mason jar lids to give as gifts or to fill up your tree. 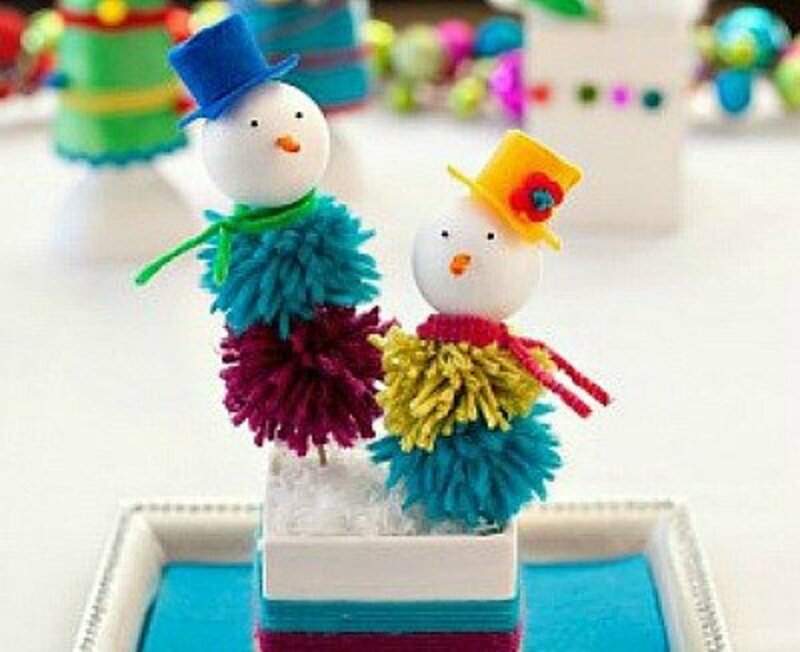 Here is a cute little variation of the pom-pom snowman. You can customize the colors to fit your home decor and winter theme. 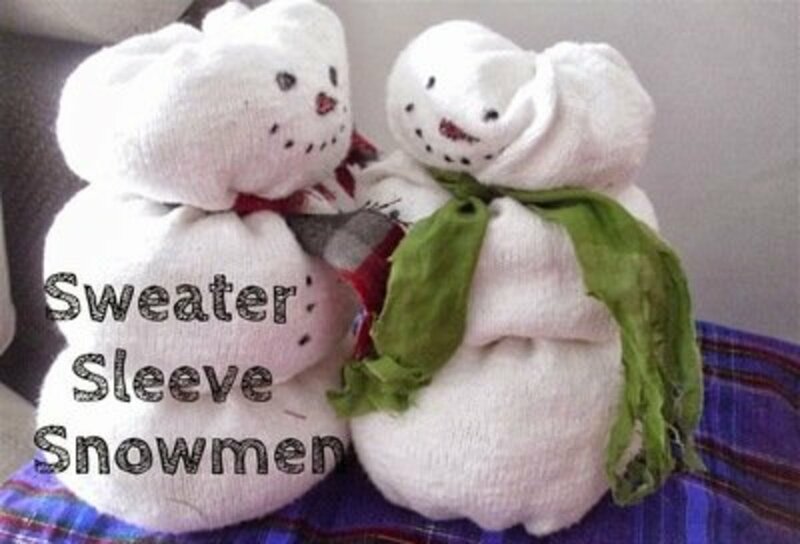 You'll need the sleeve of an old sweater for this snowman activity. Find out what else you'll need at The Do-It-Yourself Mom. 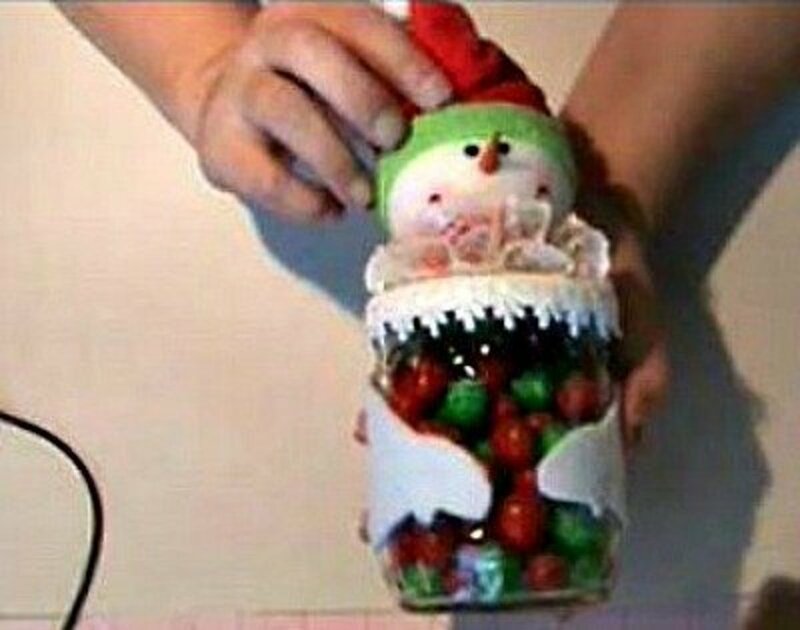 This project is canning jar turned snowman candy jar. 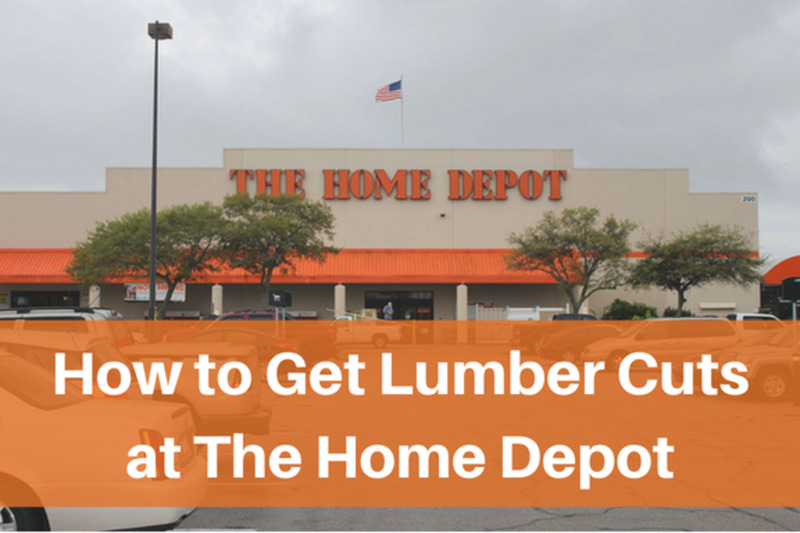 Better Homes and Gardens shares how to bring this DIY to life. 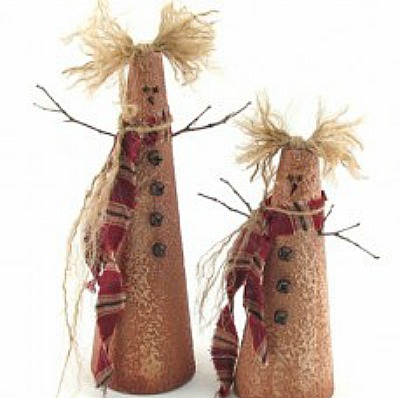 Don't you just love the looks of these cute primitive snowmen? These types of Christmas decorations are ageless and fit in with any décor. 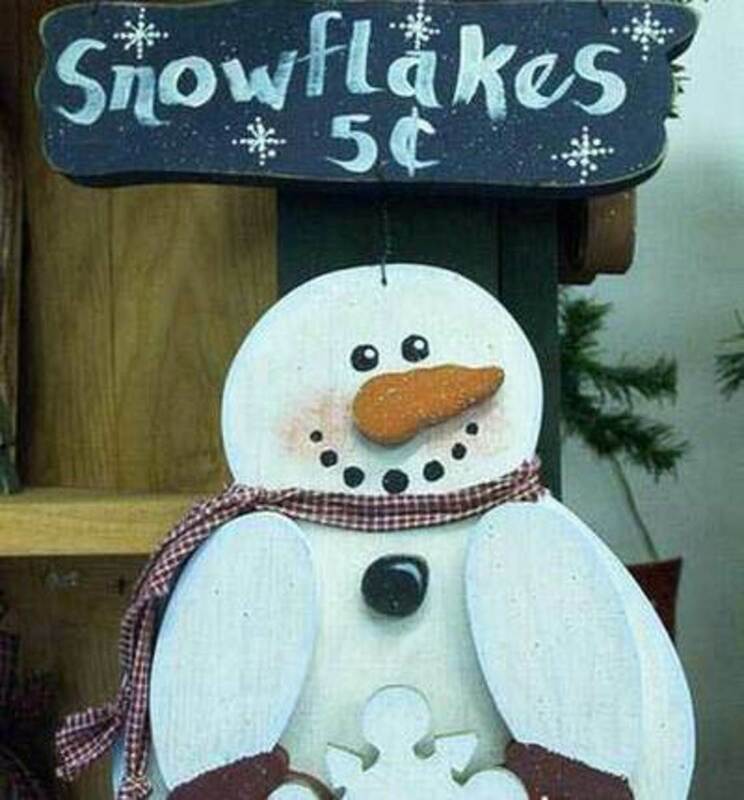 You can't buy much these days with five cents, but you can buy snowflakes from this little snowman. How cute would this look with a winter wreath tucked in behind him? 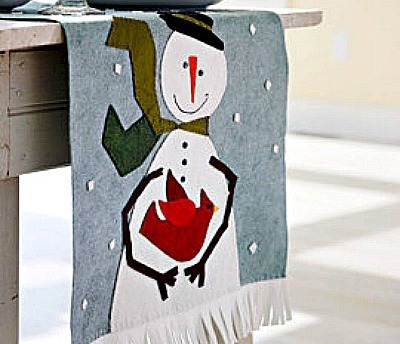 This little guy would feel right at home on your mantel or under the tree. All Free Crafts shares how to put him together. 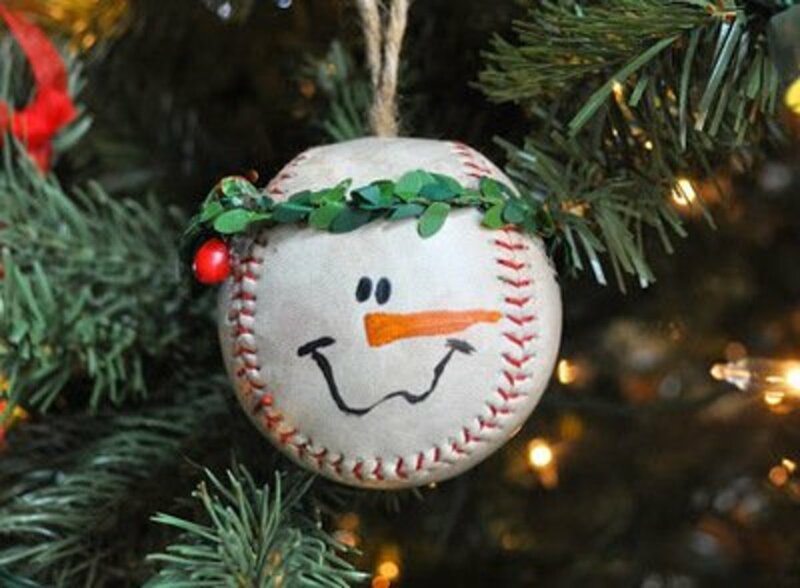 These baseball snowmen are so cute that you'll want to make some to give away as presents for the baseball lovers in your life. 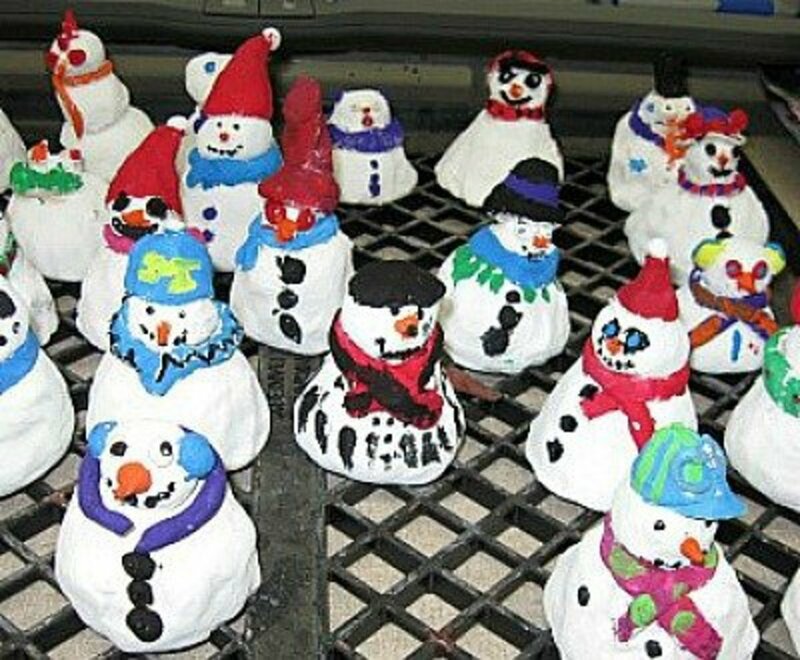 You might need to help the youngest kids making this, but everyone else will enjoy making these happy snowmen on their own. I really like this snowman as a holiday tee because it can be worn before and after Christmas. You could even wear it together as a family to snap a photo for your Christmas cards this year! This project can be as is as a table runner, or you can make a pillow using the tutorial and slight tweaking. 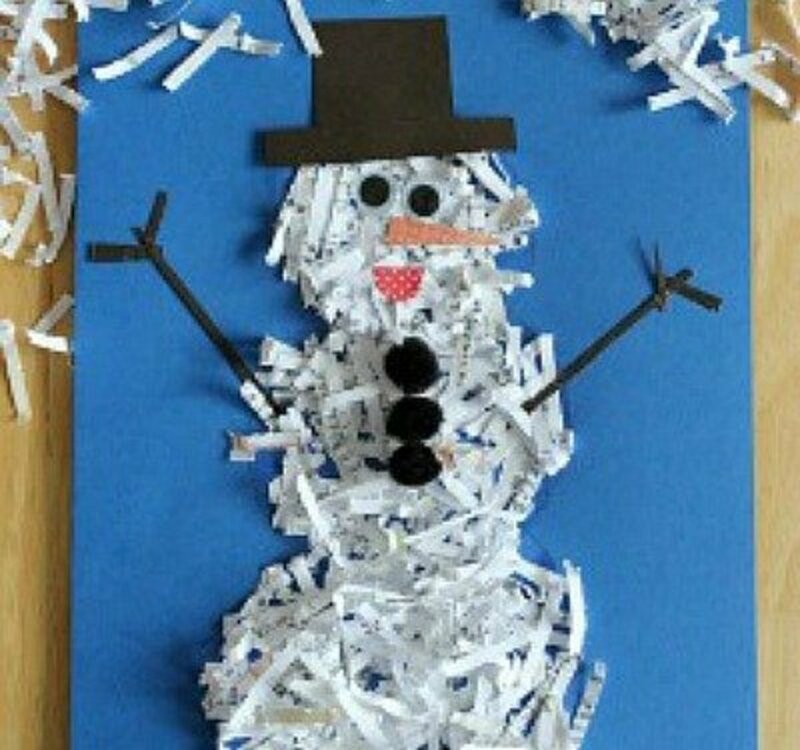 Have your little ones make this snowman using shredded paper. 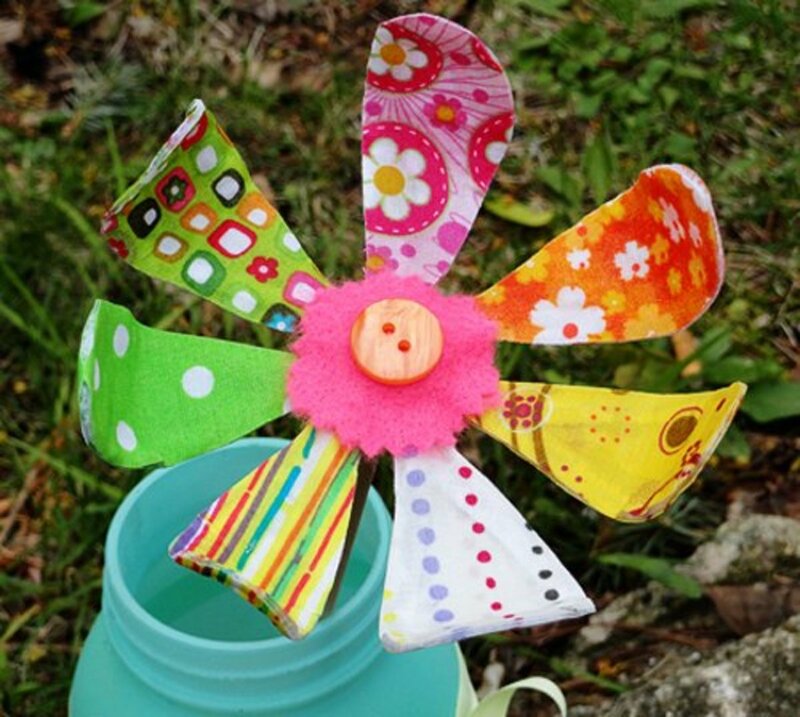 It's a fun way to upcycle paper you might otherwise just throw in the trash. 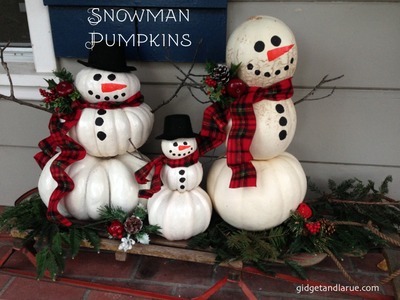 Turning pumpkins into snowmen is a great way to transition them from the fall to the winter. 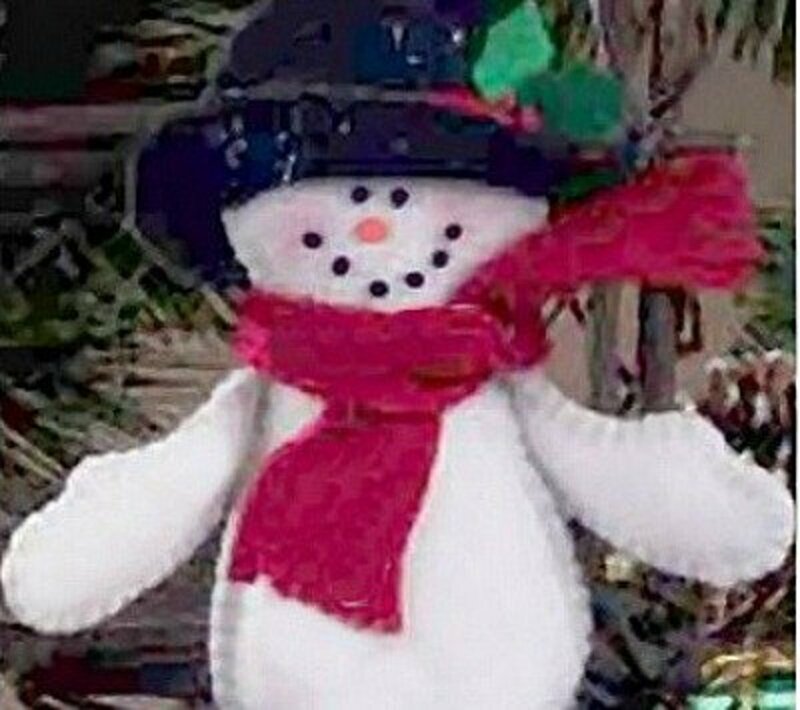 Keep track of the number of days until Christmas with this snowman. 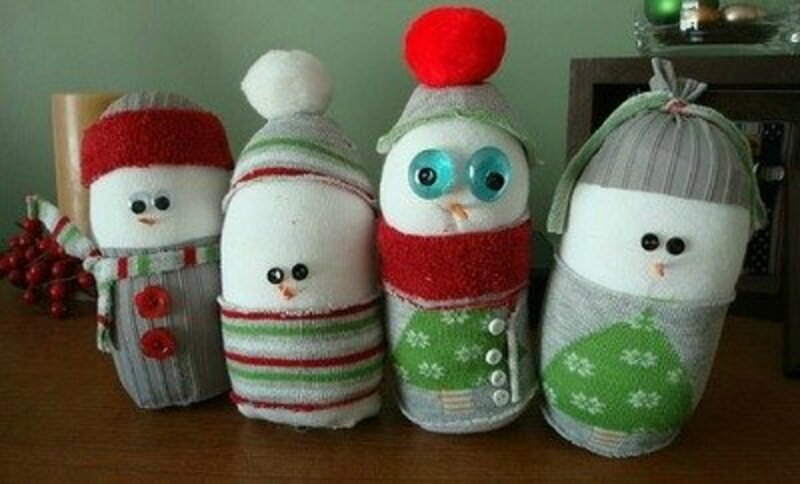 Gather together all your lone socks and your family members together to make these cute sock snowmen. You'll have a great time together! 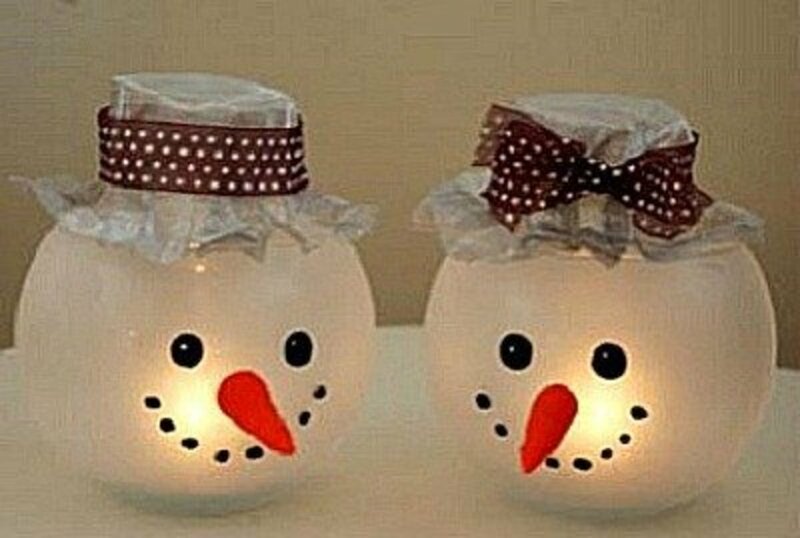 This glowing snowman is a great item for your Christmas or holiday decorations. 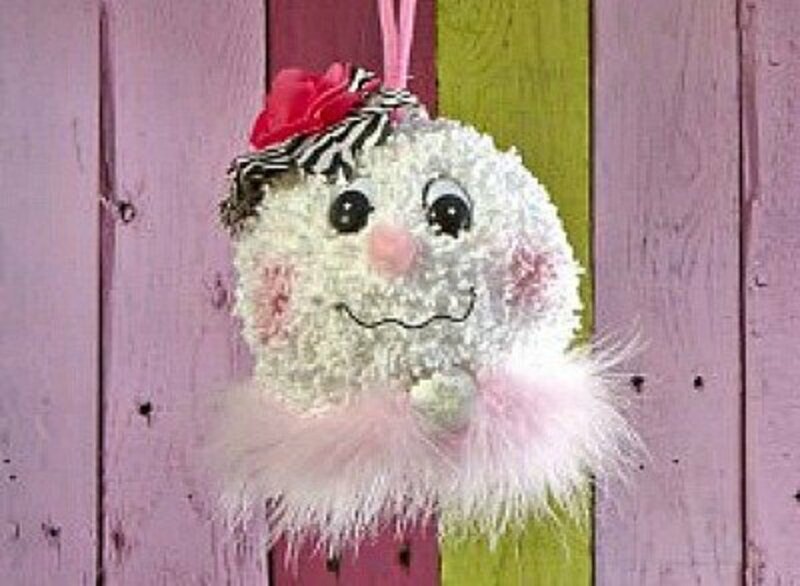 A Styrofoam ball and textured yarn make this an especially unique and elegant ornament. These cuties are made using a salt dough recipe that is included with the instructions at FAMILYCORNER. 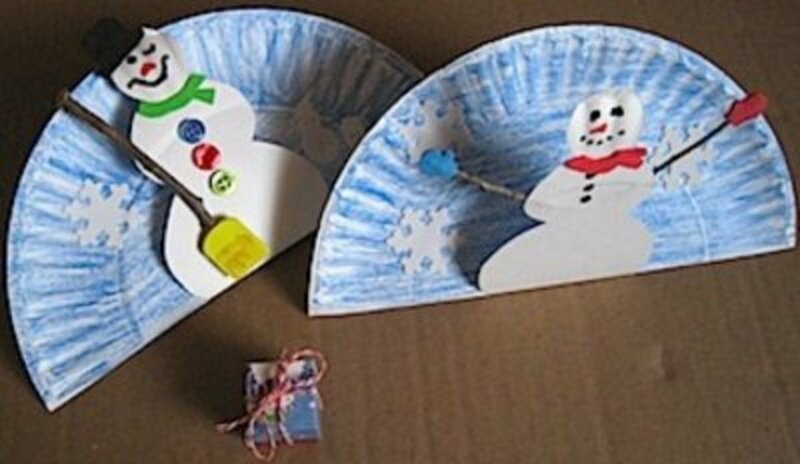 Preschoolers will love making and displaying these snowmen as works of art. 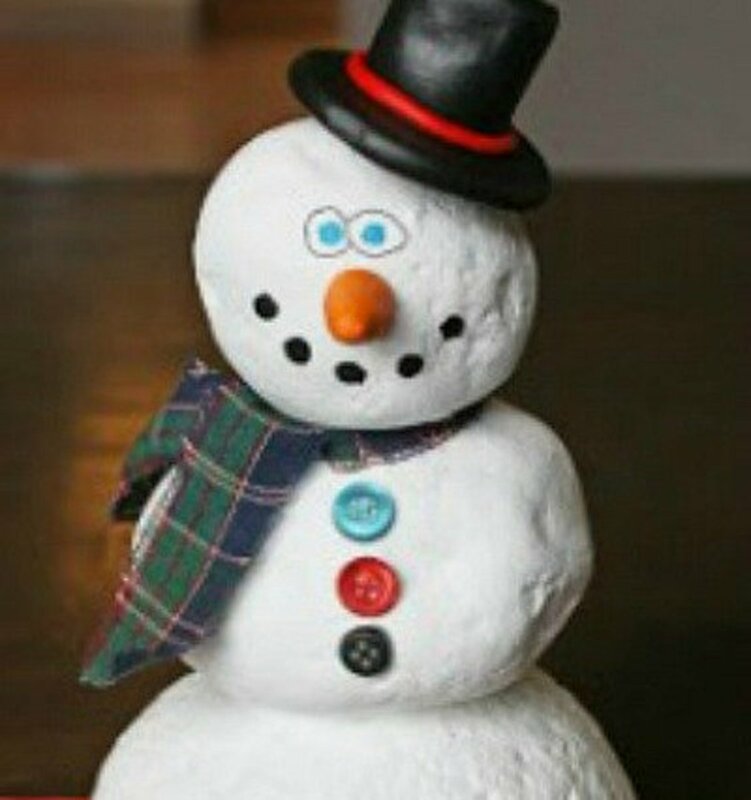 This little snowman is made out of rocks! You can put a little of these crafts together to create a small village. Giving candy treats in a jar is a popular present to give or receive. I'd love to be on the receiving end of these adorable jars! 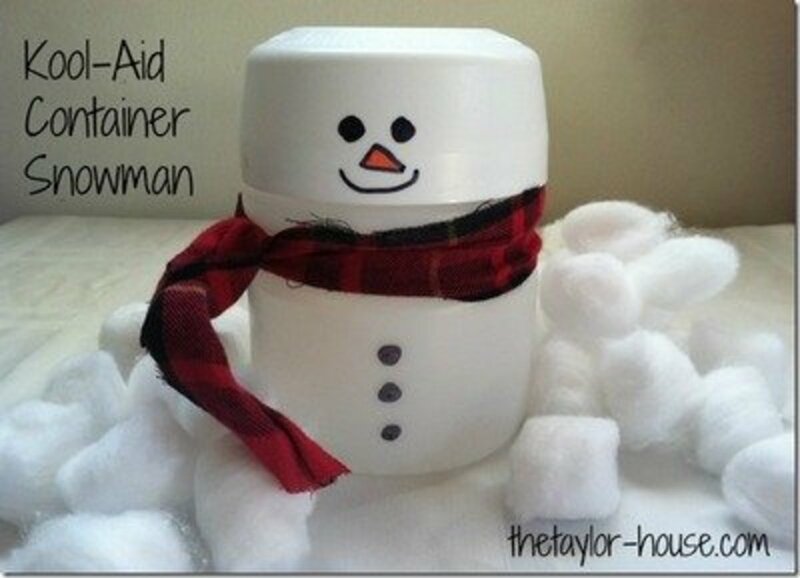 It's hard to believe that this cute little snowman is made from a Kool Aid container. 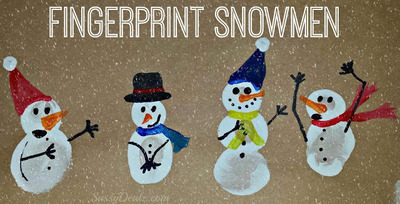 I like to include projects like this fingerprint art because I remember the kids enjoying these crafts on wintery days. 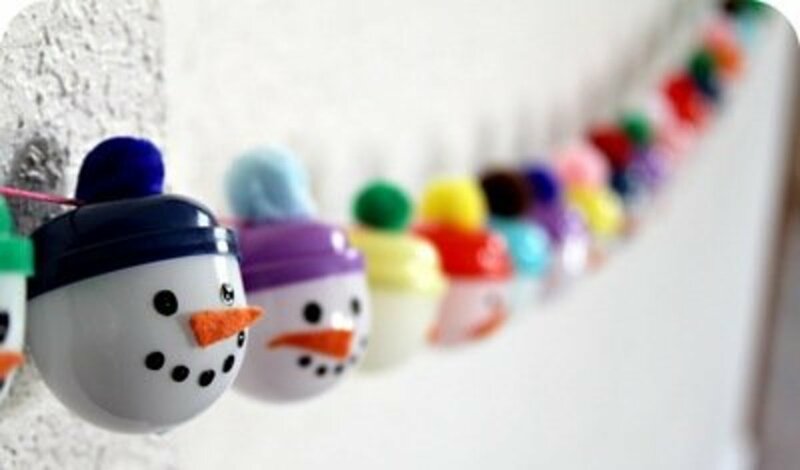 I love this snowman garland, and I especially adore the Advent countdown idea. 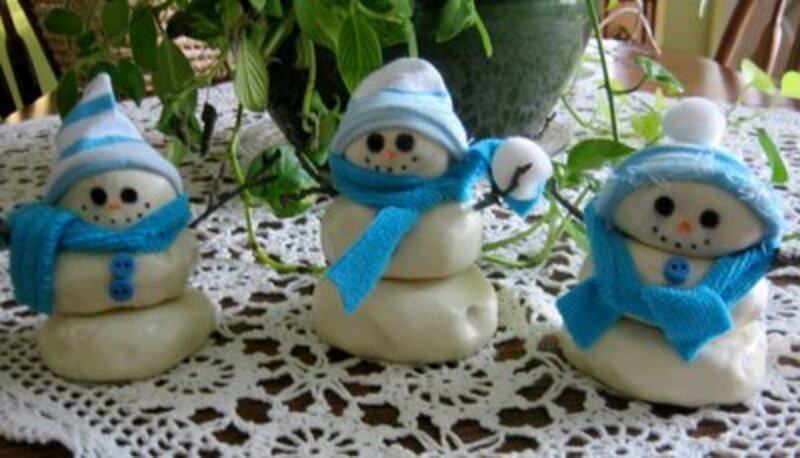 You'll be able to think up lots of uses for these cute little snowmen this winter. Put magnets on the back to make refrigerator magnets or use them to clip papers together and hang artwork. I love these cuties. 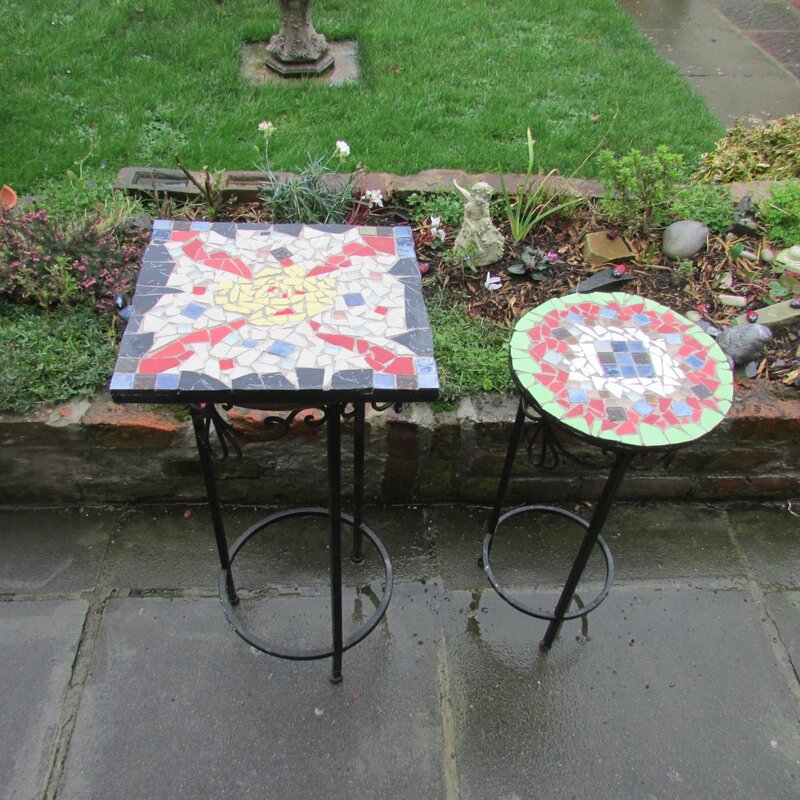 This is a great classroom project for schools that have a kiln. Find the instructions for this project at The Paper Pear. Use air-dry clay if you don't have a kiln. 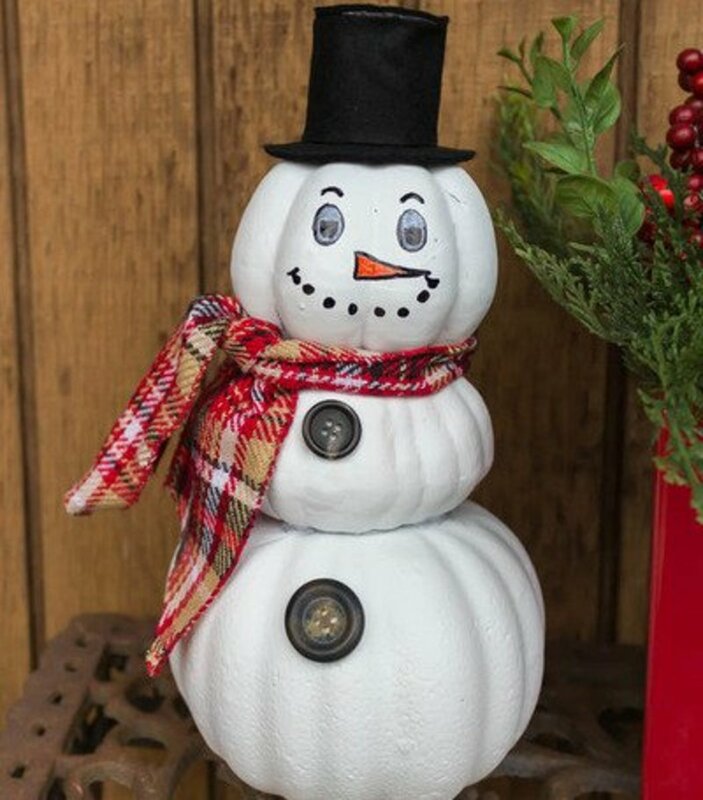 Here's an idea for reusing your pumpkins, redo them into a snowman. This cute idea comes with instructions from Domestically Creative. 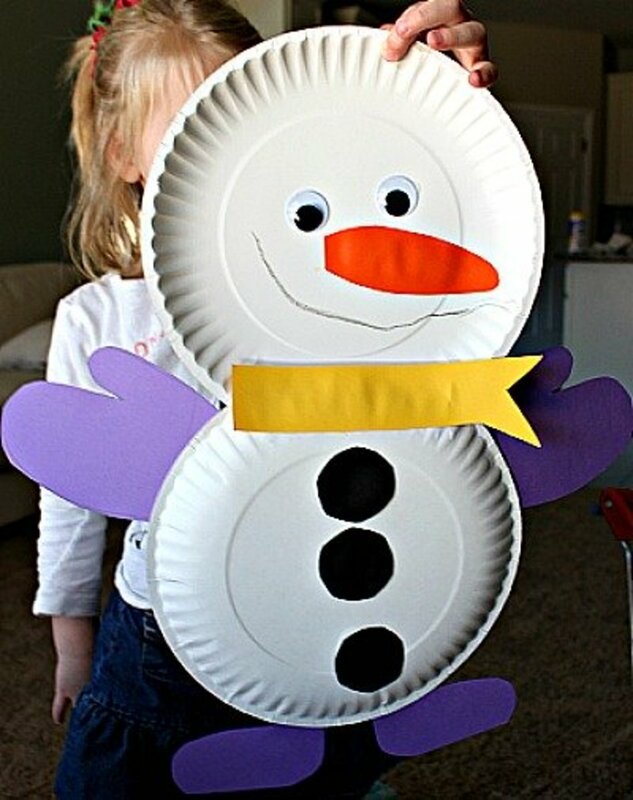 All snow craft idea is looking so cool and easy to make at home. Thank you for sharing your idea. 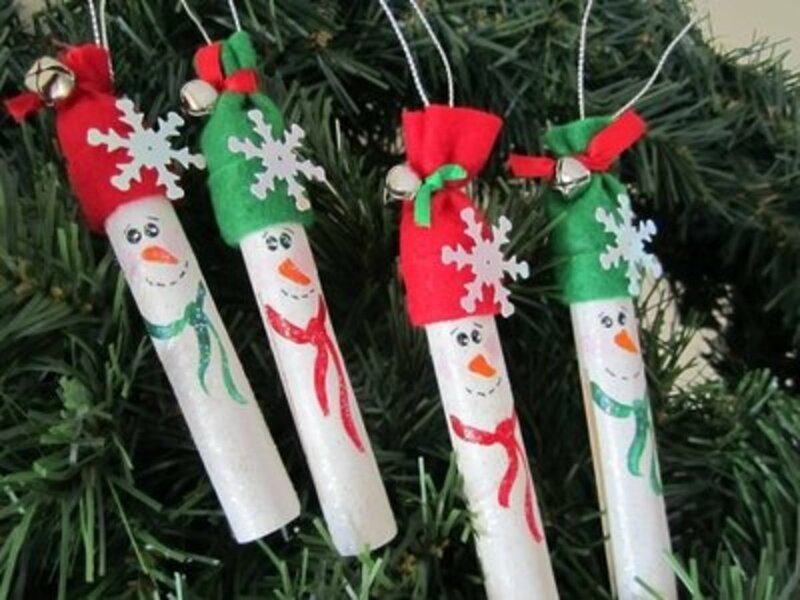 These are a wonderful collection of snowmen craft ideas. Wishing you and yours the very best for this Holiday season. I adore those Snowman Chair Covers, nice job! 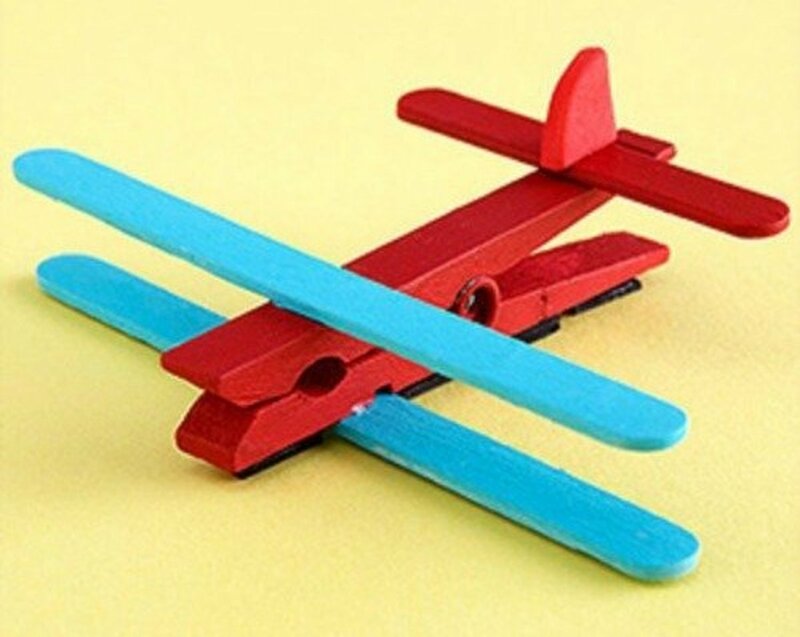 Nice projects for kids, will try to make some. I love snowmen - my mother always talked about one of us drawing a picture of a snowman and of how impressed she was. 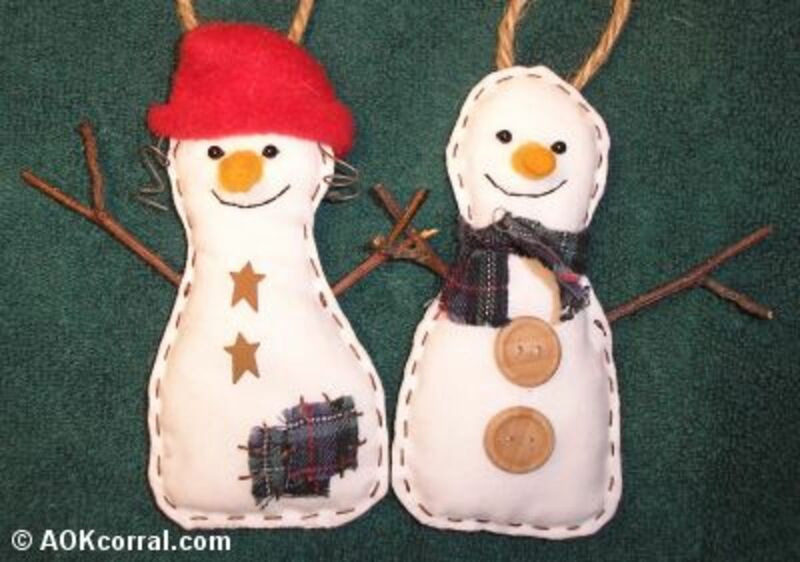 Snow Buddy looks so cuddly and these are terrific projects for kids. Kids &amp; Glitter is awesome. 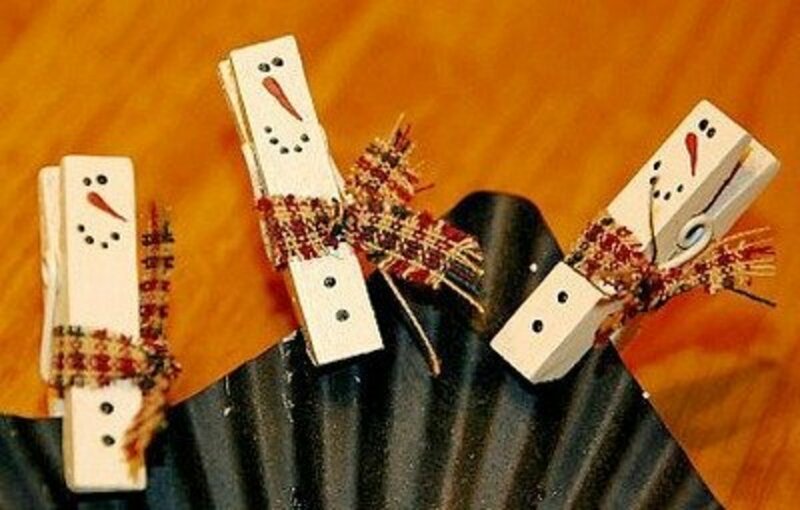 I adore the idea of snowman bookmarks. Excellent ideas and very nice website links u have shared like kids and glitter site. 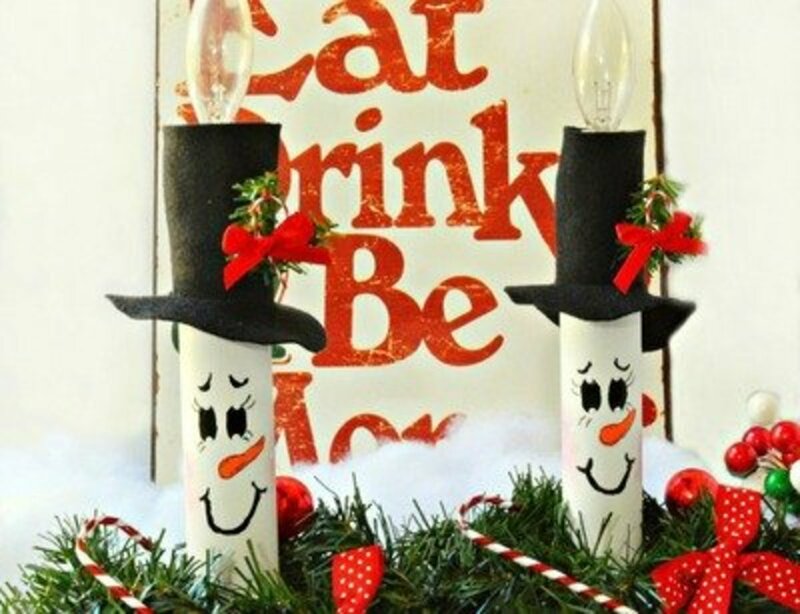 I just love the snowman candles! Sprinkled with Angel Dust** Happy Holidays! My wife just loves snowmen. I have to make her remove them over the summer months. she will love this lens. We collect snowmen in our house. I think the house turns into a Snowman Museum every Thanksgiving. Nice crafts on display. I love the bookmark idea.